Store Locations - Pies & Pints | Great pizza and awesome craft beer - Get Some! Enjoy an array of craft beers, specialty pies, delicious salads, and more at our beautiful Birmingham location, just under the Station 121 apartments. Sit outside on the open-air patio, or come indoors. In the warmer months, we’ll open our garage doors to the outside so you can enjoy the breeze from inside. You’ll find friendly service and knowledge staff, ready to answer your questions about what beer pairs best with our handcrafted menu items. GET SOME! 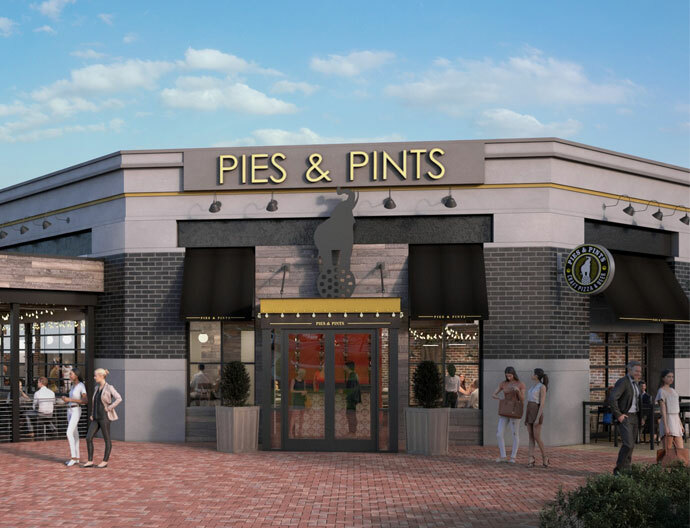 Located just a short drive north of Indianapolis at the Clay Terrace Outdoor shopping mall, you’ll find a constantly rotating selection of craft taps and an unparalleled selection of quality crafted pies that you’ll discover nowhere else. 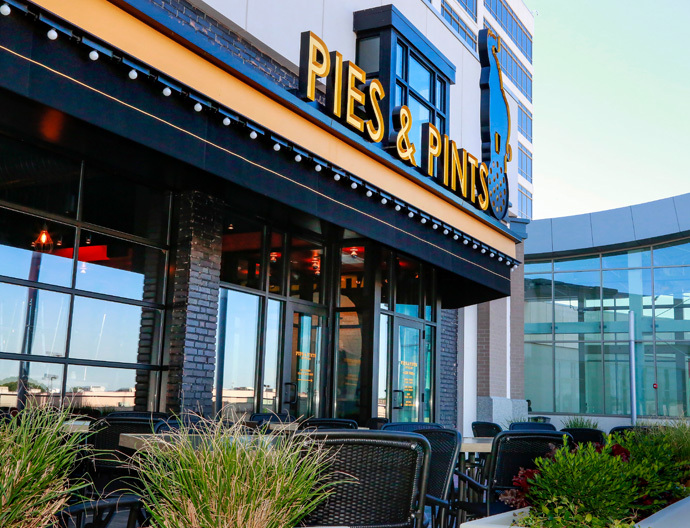 Enjoy a comfortable, family-friendly setting indoors or outside on our covered patio – Pies & Pints Carmel, IN is the perfect destination trip after a big day in the city. Located off the 465 loop along Range Line Rd. GET SOME! NOW OPEN! Applications are now being accepted online through our application form on our contact page. 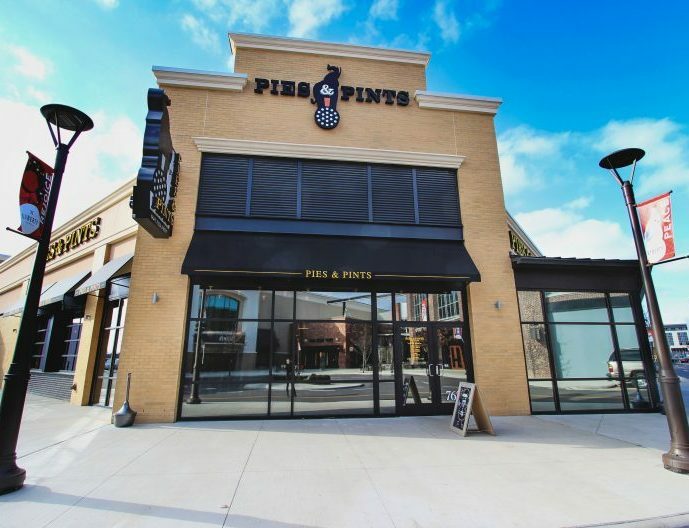 Pies & Pints is now open in Noblesville. Located in The Shoppes at Eastchase, you’ll be blown away by the selection of craft brews available. There are 36 beers on tap, and even more available in bottles or cans. 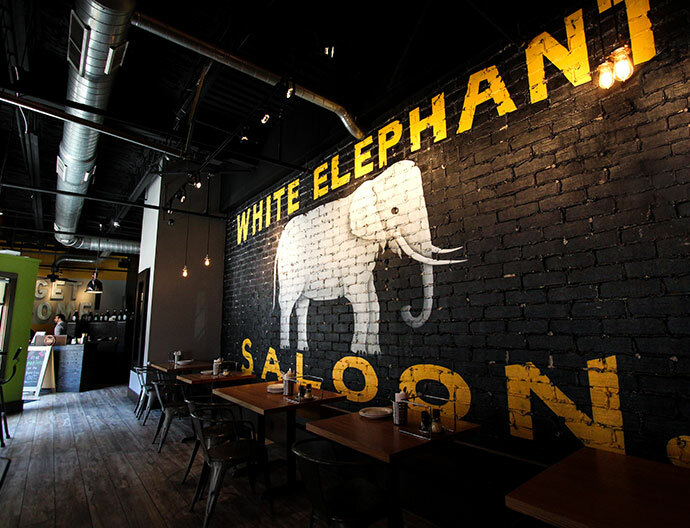 Stop by after a day of shopping for awesome food, refreshing craft beer, and great service. While you’re here, try one of our Alabama beer selections. We’ve got beers from Avondale, Back Forty, Fairhope, Good People, and Black Warrior among our other beers from around the world. GET SOME! Finish off a day of shopping adventures with craft beer and pizza featuring premium, fresh ingredients. There is never a shortage of things to see and do at Easton. Add delicious, house made pizza and diverse brews on tap to that list. 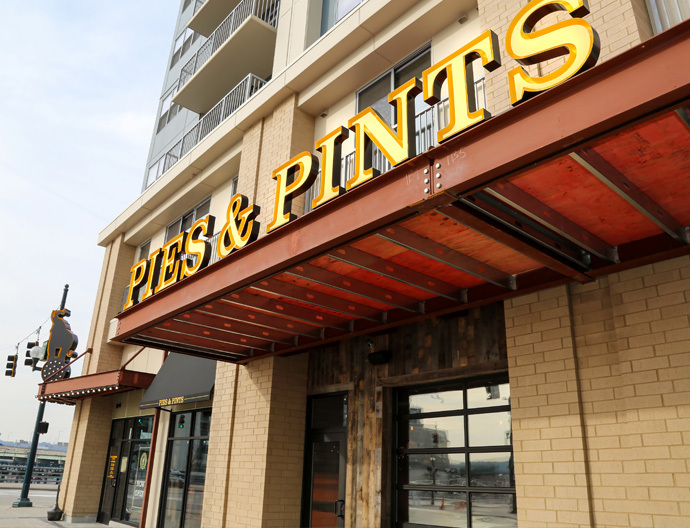 Pies & Pints at Easton is conveniently located off I-270 near Port Columbus International Airport and is also a quick drive from Crew Stadium, Nationwide Arena and many other Columbus attractions. We are in the new Gateway addition of Easton Town Center on the corner of Morse & Stelzer road. GET SOME! Worthington sits on the northern most edge of Ohio’s capital. Pies & Pints in Worthington crafts fresh pizza from locally-sourced ingredients that always go above and beyond expectations. Those north of Columbus or in Westerville will appreciate the top-of-the-line pizza and beer selection Worthington has to offer. 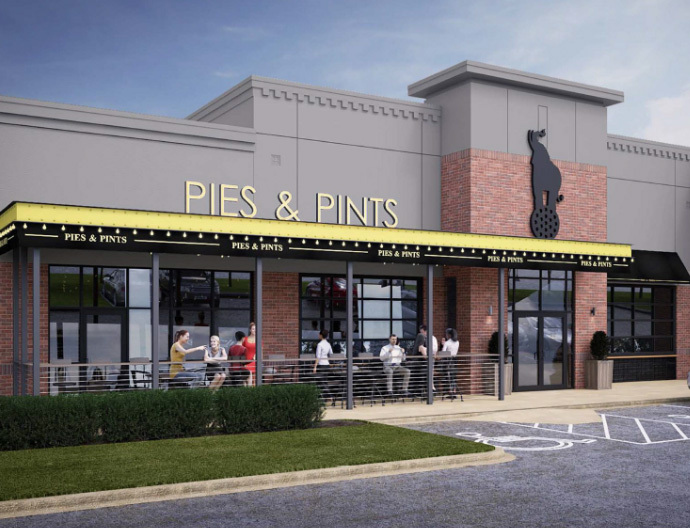 Pies & Pints in Worthington is located in the southwest quadrant of I-270 and Route 23, ten minutes north of downtown Columbus and a short drive to the Columbus Zoo. We’re located in the Shops at Worthington Place (formerly Worthington Square Mall). Stop by to spend lunch, dinner or happy hour on our year-round patio. GET SOME! A town famous for flight, Dayton has high standards. 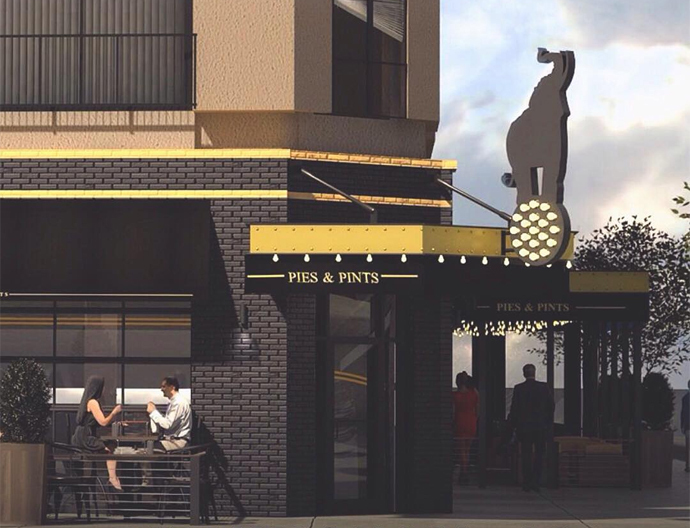 So when Pies & Pints opened with artisan pizza and craft beer, things really took off. 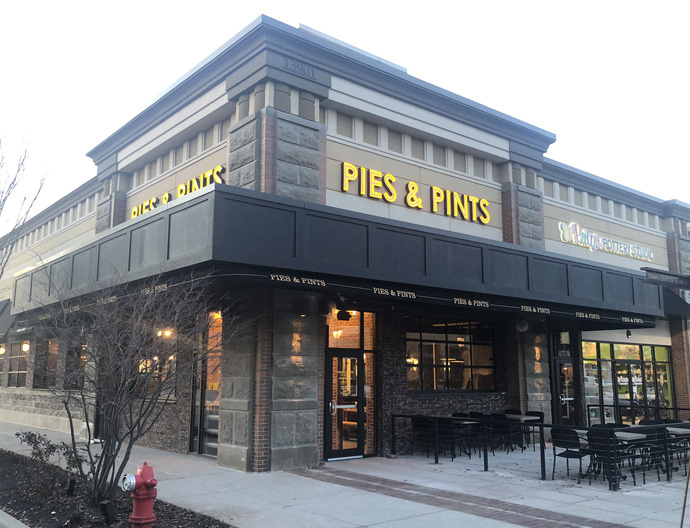 Pies & Pints at The Greene Town Center offers an expansive tap selection including craft beer from the Dayton newcomer and local favorite, Warped Wing. We’re located five minutes from the Air Force Museum, Wright Patterson Air Force Base, Wright State University and many local attractions. Located off of I-675 and one exit south of I-35 gives you easy access to downtown Dayton, Fifth Third Field and the entire metro area. 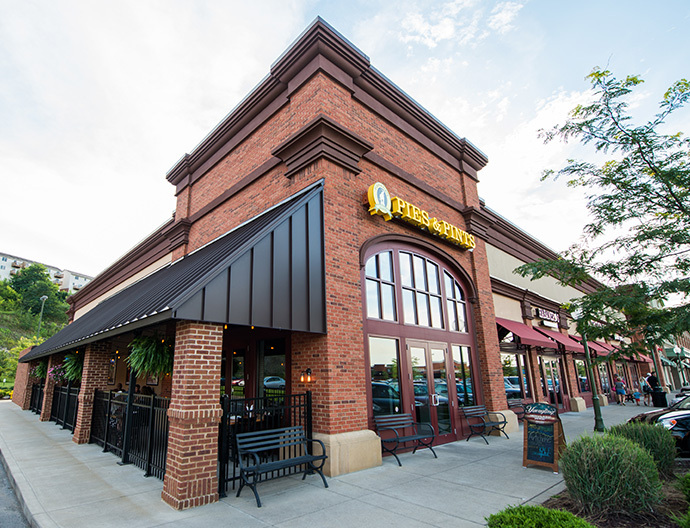 Stop by for lunch, dinner or to take a break from your shopping spree at The Greene. GET SOME! Enjoy a cold craft brew from one of your favorites as you bite down on a savory appetizer or hearty pie. We are at the Kenwood Collection, which is between I-71 and the Kenwood Towne Centre in Suite 210. Shop for a bit at the surrounding retailers and then take a load off at Pies & Pints. With 36 beers on tap, you won’t leave thirsty! GET SOME! Ready to celebrate a win? 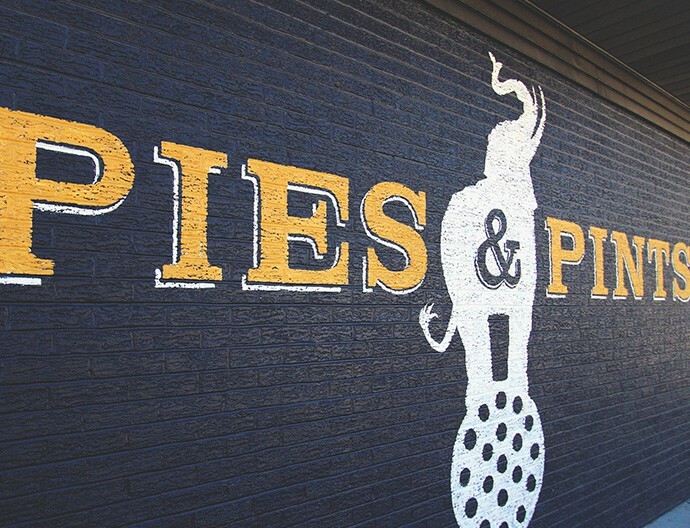 Top it off with delicious pies and craft brews available at our Cincinnati location, next to the Ohio River. We make all of our food right here, with quality and locally-sourced ingredients. Located between the Paul Brown Stadium and Great American Ballpark, our Pies & Pints location will keep you close to the game. Sit at our bar and enjoy one of our delicious starters like char-grilled wings or pork and pepper nachos. GET SOME! If you need a place to park, check out this website for the nearest parking locations. Want the best pizza and craft beer combo southern Ohio has to offer? 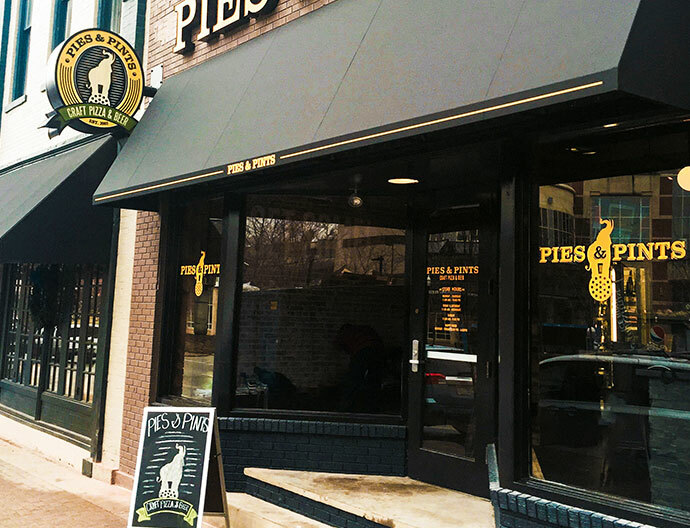 Look no further than Pies & Pints at Liberty Center. It’s even been known to lure many Kentuckians up north. Our tap selection offers beer from local frontrunners like Mad Tree, Taft’s and Rhinegeist. 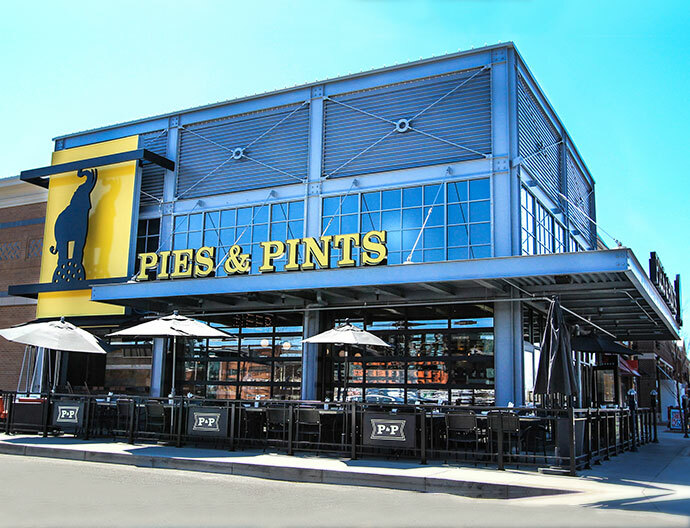 After a day of shopping Liberty Center, enjoy delicious, house made pies and rare pints. We’re located at Liberty Center, conveniently right off I-75 at exit 24—Liberty Way in Butler County. GET SOME! Morgantown Mountaineers have a mountain-sized thirst that only the best craft beer can quench, and what goes better with craft beer than craft pizza? With over 20 beers on tap, there are plenty of varieties to explore. Our signature pies invite you off the beaten path to explore a variety of unique flavors and options. 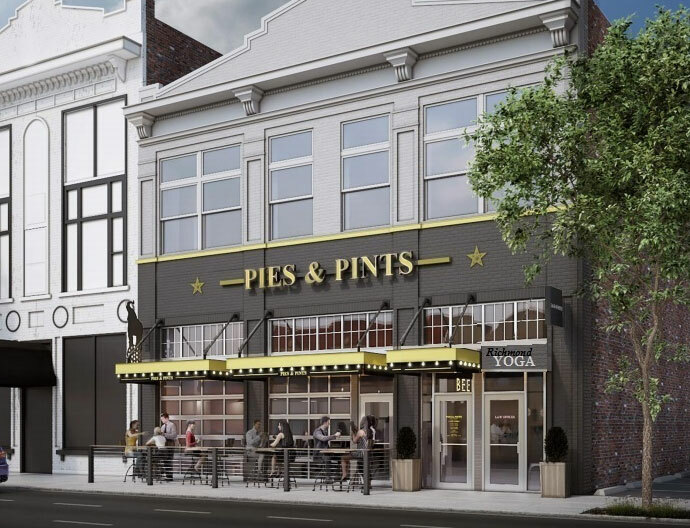 Pies & Pints in Morgantown is located five minutes away from the main campus of WVU, the nightlife of downtown and just a mile away from Milan Puskar Football Stadium. 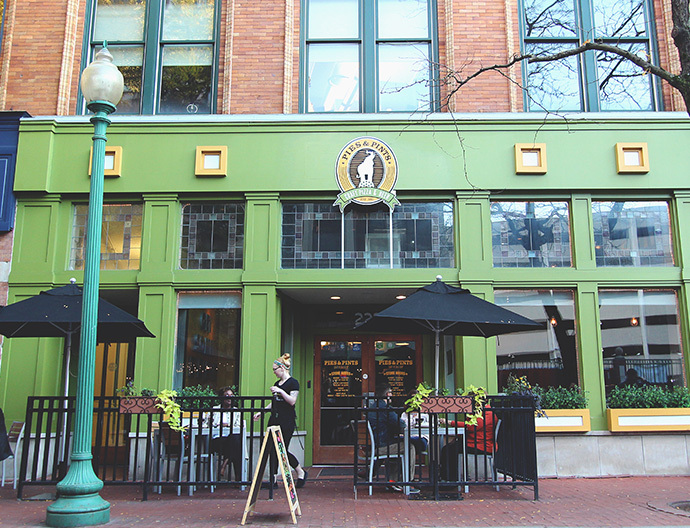 Surrounded by shops and a great atmosphere that gets even better on game day, Pies & Pints Morgantown is the best place for lunch or dinner any time of the year. GET SOME! The UK Wildcats game is on! Stop by for lunch, dinner, happy hour or anytime you want to enjoy a delicious pie & brew while cheering on the Big Blue. We are located next to the Lexington Visitors Center in The Square, formerly known as Victorian Square. Just across the street from the Convention Center and Triangle Park, we are also within walking distance of Rupp Arena. 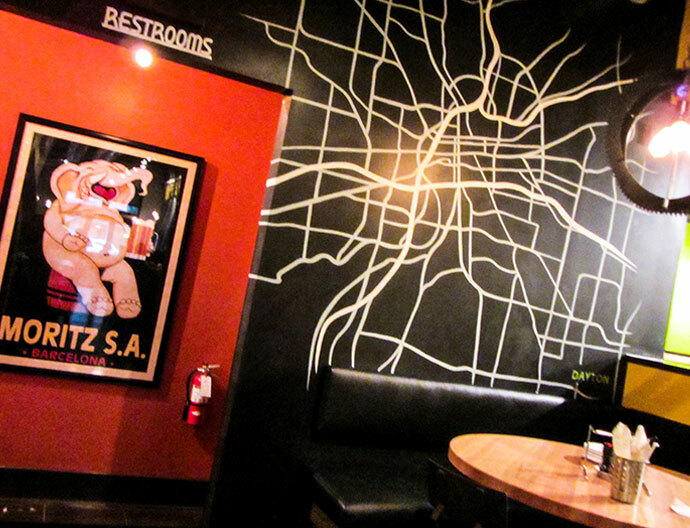 You will not be disappointed in our menu or our extensive beer selection—35 taps including draft root beer! GET SOME! Visit the Fan District of Richmond to check out Pies & Pints and grab some delicious craft beer and fantastic pies. Can you think of a better combination than craft beer from a tap paired with a mouth-watering pizza or wings? Get some at Virginia’s very first Pies & Pints location! Whether you want a bite to eat after watching a game or need a place to relax and socialize with family after a day at one of the nearby museums, Pies & Pints in Richmond offers a stellar offering of appetizers, salads, sandwiches, desserts, and of course, plenty of pizza and beer to go around!